Moroccan youth, who make up a third of their country’s population, represent a massive pool of untapped talent and potential. However, with 40 percent of Morocco’s youth out of school or out of work, many feel lost and unsupported by their communities. These youth can become susceptible to the world of crime, drugs and radicalization. To help provide them with an alternative, USAID and its partners in Morocco are working together to provide sustainable opportunities for youth. I recently had the chance to visit USAID activities in Morocco that provide young people with the skills they need to enter the workforce, and connect them to jobs in high-demand sectors. 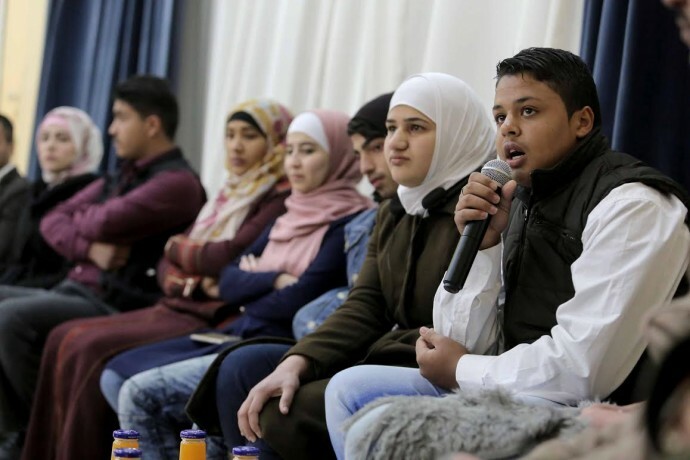 USAID’s Favorable Opportunities to Reinforce Self-Advancement for Today’s Youth activity works with at-risk youth in underprivileged neighborhoods in the north of Morocco. 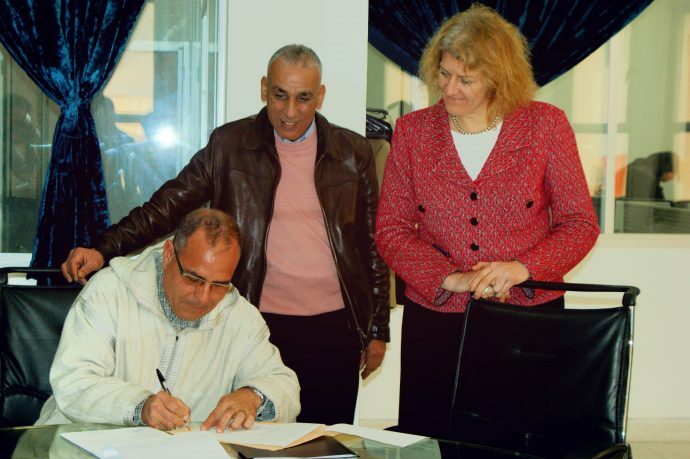 Since 2012, the activity has improved the lives of over 12,000 at-risk youth in the cities of Tangiers and Tetouan by increasing confidence and community engagement, and providing professional skills training, academic support and tutoring. Working with local civil society organizations, this USAID project addresses the challenges that push young Moroccans down hazardous paths. It improves their access to quality education and job opportunities and increases their community involvement through vocational training and career services—giving young people more positive options for their future. I saw this firsthand when I visited the Chifae Association, a USAID-supported NGO providing vocational training to local youth in an impoverished urban neighborhood in Tangiers. I had the opportunity to observe a morning sewing class, where young men and women sat at rows of sewing machines testing stitches on colorful fabric scraps. The students I spoke to at the Chifae Association told me how the USAID project is helping them find themselves. I was moved by their sense of ambition as we talked about their personal challenges and aspirations. They are learning new skills that will help them get a job and become excited about their future. One student told me that if it wasn’t for this program, he would most certainly be on the street selling drugs. From the Chifae Association, we headed straight to Nova Moda 2, a clothing factory where many of the graduates from USAID-supported vocational training centers like the Chifae Association become interns or employees. 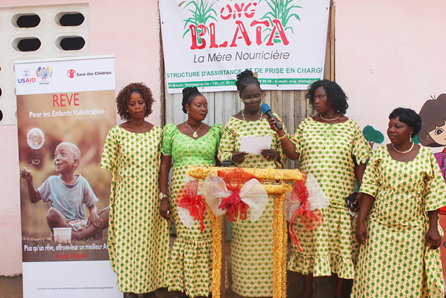 Nova Moda 2 provides these graduates with good salaries that allow them to support themselves and their families. With this new sense of purpose, Moroccan youth gain self-esteem and feel more respected in their neighborhoods. I also attended the signing of a partnership agreement between the Nova Moda 2 clothing company and the Chifae Association. This agreement made official what was already apparent: Everyone participating in this program—students, teachers and company managers—is committed to working toward a common goal of youth employability. Through dedicated partnerships like this, students who complete the vocational training program have a clear vision of how their newly acquired skills can be applied in a viable profession, and with that, a hope for their future. Maria Longi is the deputy assistant administrator for USAID’s Middle East Bureau. Check out more on our work in Morocco. 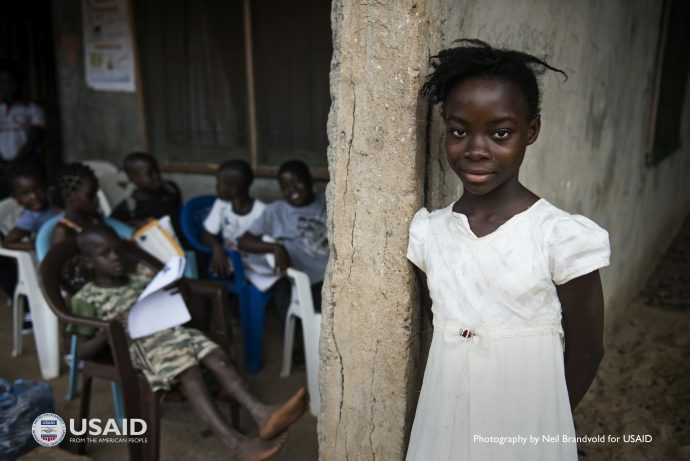 Education is a core component of a humanitarian response. However, too often education remains severely underfunded given competing priorities. But without it, children — and girls in particular — are at increased risk of abuse, exploitation, disempowerment or worse. While working in international education for more than 30 years, I’ve seen how natural disasters, famines and wars can sideline education. And yet we know from research — and our own life experiences — that going to school and learning is critical; it provides children with a sense of normalcy and helps prepare them for the future. 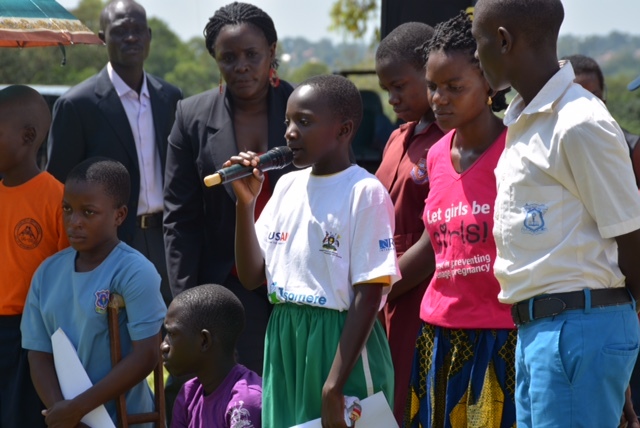 An extra year of secondary school for girls can increase their future earnings by 10 to 20 percent. Research even shows that investing in women and girls can boost an entire country’s GDP. However, over the past decade, we have seen greater consideration of the long-term need of children affected by crisis and conflict. Education in these contexts is prioritized by the U.S. Government — we know it’s critical to the global effort to end extreme poverty and build peaceful democratic societies. 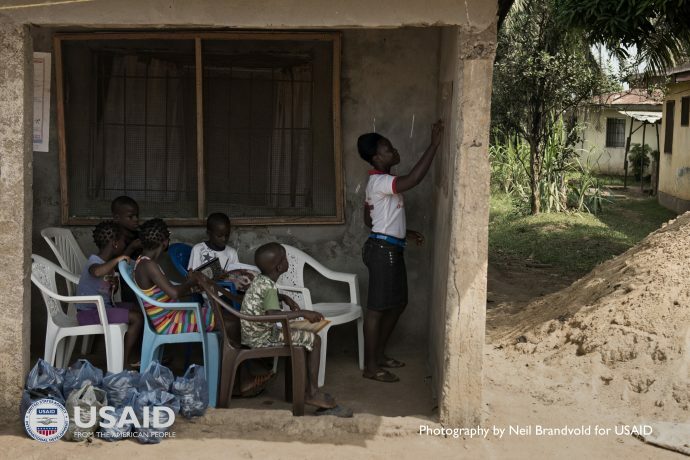 Providing access to quality education for children and youth in crisis and conflict is one of USAID’s priorities for education. Between 2011 and 2015, we provided millions of out-of-school children and youth in 20 countries with access to education. That’s good progress, but it’s not enough. As a result of the conflict in Syria, the world is experiencing the worst humanitarian crisis since World War II. Syria is among 35 crisis-affected countries where 476 million children are in desperate need of educational support. For decades, humanitarian and development assistance were often partitioned, and this sometimes led to not focusing on returning many displaced children and youth to school until after a crisis or conflict had ended. Education has always been a key focus in the international refugee response; but this at times has not been true in the case of natural disasters or even in the case of internally displaced children. As crises have become longer — families are displaced for 20 years on average — children may spend their entire childhood exiled from their homes. Without education, a new generation grows up without the basic skills needed to contribute to their community and society. The U.S. Government is now committed to ensuring that whenever a crisis or conflict hits, education is not disrupted. Prioritizing the continuity of education reaps long term rewards, and contributes to a smooth transition from humanitarian assistance to sustainable development. In the past year, the United States has responded to the education needs of children living in a range of crises, including violent conflict in South Sudan, gang violence in El Salvador and Guatemala, the Syrian refugee crisis, earthquakes in Nepal, and the Ebola outbreak in Liberia. 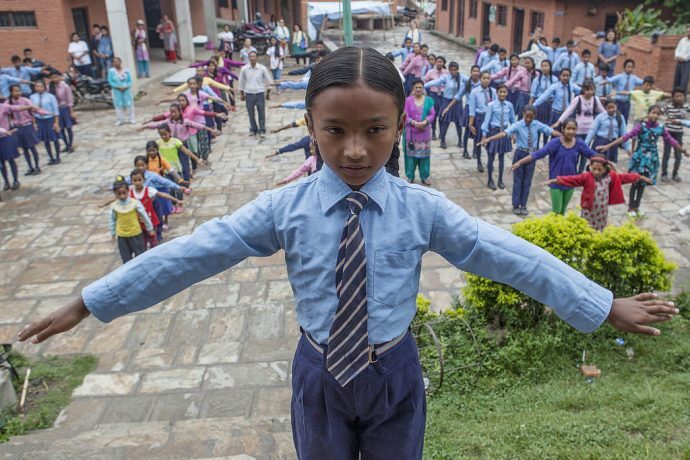 Nepal: On April 25, 2015, Nepal was shaken by a magnitude 7.8 earthquake that claimed lives, destroyed homes, and reduced thousands of schools and classrooms to rubble. USAID and partners sprang into action by building more than 1,000 temporary learning centers to ensure children could continue their education while the rest of the communities were rebuilt around them. Liberia: In August 2014, at the height of the worst Ebola outbreak in history, all schools were closed, leaving 1.5 million children at home and unable to learn. Crises like Ebola don’t only affect the health of communities, but also their ability to continue working and learning. In response, USAID worked with the Liberian Government to integrate basic Ebola prevention and treatment information into the curriculum, supply classrooms with prevention supplies, and prepare for future suspected cases. These measures allowed schools to reopen six months later. Syrian refugee crisis: Since the start of the conflict in Syria, the Department of State has worked with international and nongovernmental organizations to open and refurbish schools, provide educational materials, pay school fees, and offer accelerated learning programs for refugees and host communities in neighboring countries where 2.4 million Syrian refugee children now reside. These same partners provide protective family care and reunification, protect distressed children from violence and abuse, provide counseling and psychological support, and meet other critical needs of children both inside Syria and in neighboring countries. 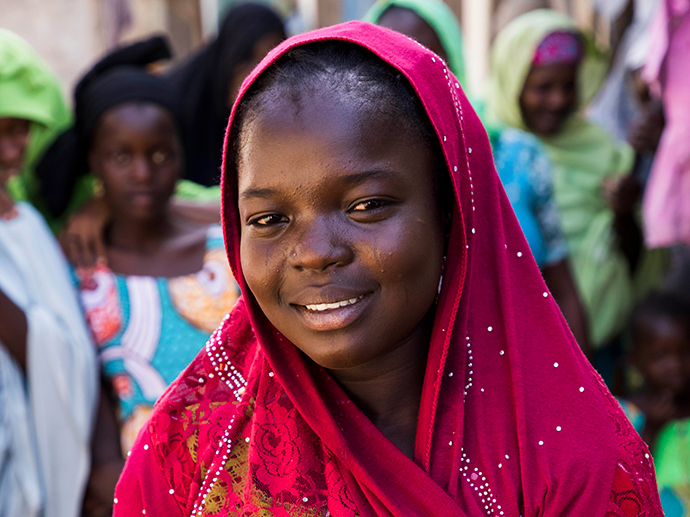 Nigeria: Since 2009, a violent insurgency has gripped much of northeastern Nigeria and displaced more than 1 million children and youth, greatly diminishing their education and job prospects. 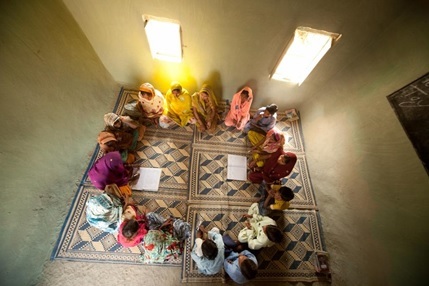 Since 2014, USAID has worked with local partners and officials to ensure their education can continue by establishing about 600 nonformal learning centers in communities where displaced children and youth have relocated – temporary shelters, markets, churches, mosques and under the shade of trees. The international community is far from reaching all of those children in need, however. We must do more. No one donor can do this alone — we must work together with countries affected by these crises and a range of education experts. That is why the U.S. Government is enthusiastically supporting Education Cannot Wait: A Fund for Education in Emergencies. The fund is championed by the UN Secretary-General’s Special Envoy for Education Gordon Brown, Chair of the Global Partnership for Education’s Board of Directors Julia Gillard, UNICEF’s Executive Director Anthony Lake, the U.S. Government and other donors. Education Cannot Wait, managed by UNICEF, will help transform the global education sector and bridge the humanitarian and development divide by collaborating with non-traditional actors for a more agile and rapid response to education in emergencies. Ultimately, the fund will increase safe and quality education so that all children have the opportunity to learn, amid emergency and protracted situations. With 75 million girls and boys most directly affected by crises globally, we know that solving this problem requires collective action. This is why we call on the private sector, host country governments, civil society, and traditional and non-traditional donors to all come together. Education Cannot Wait must engage new actors — non-traditional donors, the private sector, foundations and philanthropists — to contribute to financing the platform. They can make education as much a priority as food security, shelter and health. 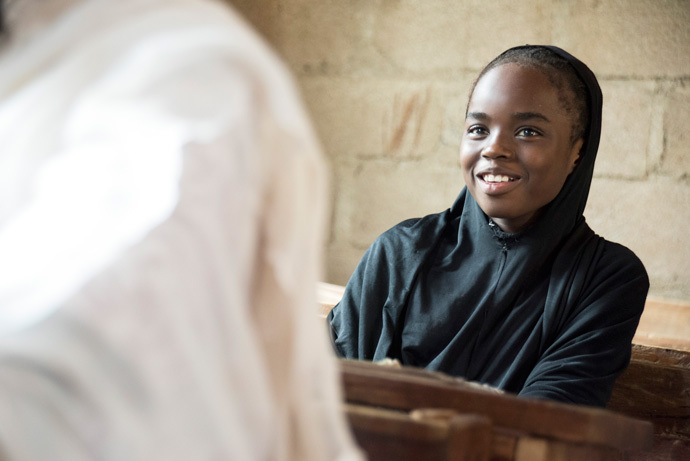 New actors can unlock new funds, and their participation can help the international community create transformative and long-lasting change in the lives of the world’s most vulnerable young people. It’s a challenge that must be addressed through strong political will and financial support. As a veteran development worker and education specialist, I’ve seen firsthand what happens when children and youth are given an education–how going to school and continuously learning allows them to heal and grow. These children and youth, when provided with an education are given a new hope for a better future and a chance to succeed — they become self-sufficient, are better able to earn a decent living, and contribute to their societies in a productive way. We all benefit. Evelyn Rodriguez-Perez is the Director of USAID’s Office of Education in Washington, D.C. Ms. Rodriguez-Perez is a veteran educator of 30 years and a Foreign Service Officer previously stationed in Peru, Egypt and Honduras. However, non-formal education is not the only way forward. Jordan’s Ministry of Education is committed to finding pathways to formal education for all out-of-school children. The Ministry will enroll an additional 50,000 Syrian refugee students in school for the 2016-2017 school year — in addition to the 143,000 who are enrolled in the current school year. They also expressed deep frustration at the stereotypes often raised about socially conservative governorate, Ma’an: “terrorists,” “trouble-makers,” “extremists.” Most powerfully, they spoke passionately about a way forward, brimming with positive ideas and energy — perhaps the most powerful refutation of those ill-conceived labels. 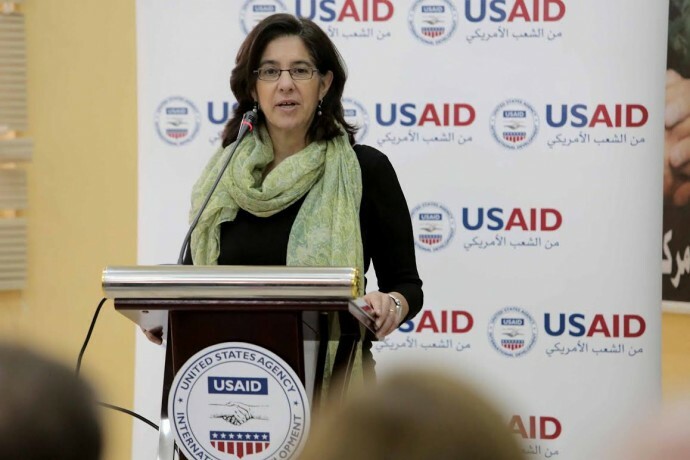 Mona Yacoubian is the Deputy Assistant Administrator for the Middle East Bureau at USAID. Like most 10-year-old students, Dinah solves her math problems in the old-fashioned way—with her fingers. She counts to six and jots down the number. 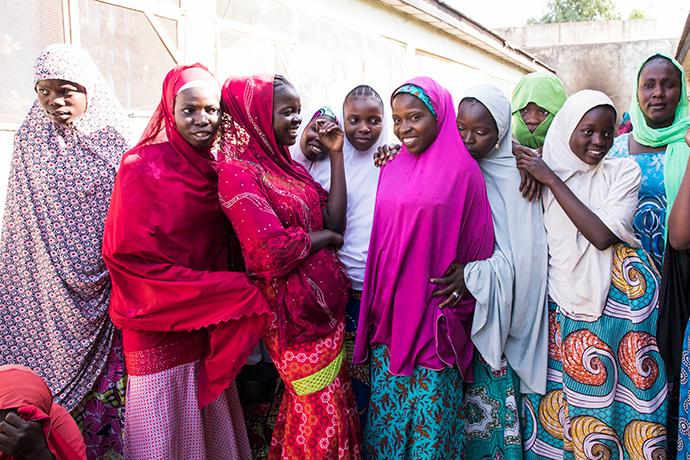 For Dinah’s extended family, they are counting something entirely different—the months since the girl lost her mother during a raid by Boko Haram insurgents on her village in northern Nigeria. After the vicious attack, the young girl eventually made it to a center for internally displaced persons. Dinah’s uncle drove from the city of Bauchi to bring her to his home. Today, some seven months after the incident, Dinah is adjusting to a new school and a new future. An insurgency has wreaked havoc on parts of Nigeria, forcing some 2.2 million people from their homes—one of the largest concentrations of internally displaced persons in Africa. Hundreds of thousands of school-aged children have been set adrift inside the country, ripped from their communities and their schools. With the magnitude of the situation, USAID, state officials and NGOs stepped in with the Education Crisis Response program. 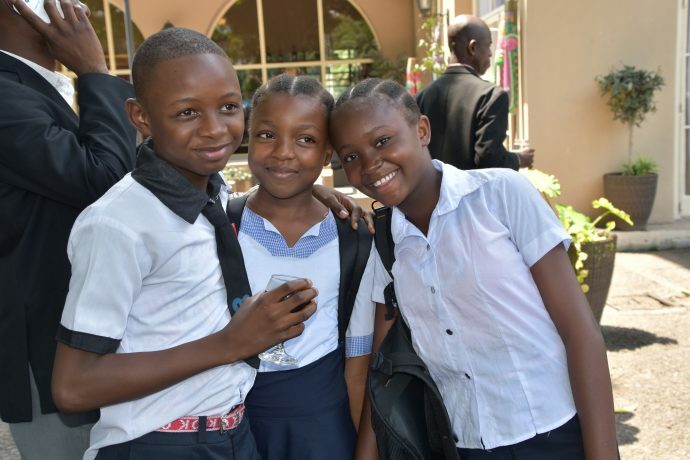 Launched in 2014, the goal of the program is to expand access to quality and protective non-formal education and alternative education opportunities for out-of-school children, ages 6 to 17, in three Nigerian states and reduce the burden on local schools already stretched thin by limited resources. It is implemented by Creative Associates International and the International Rescue Committee, along with local NGOs. 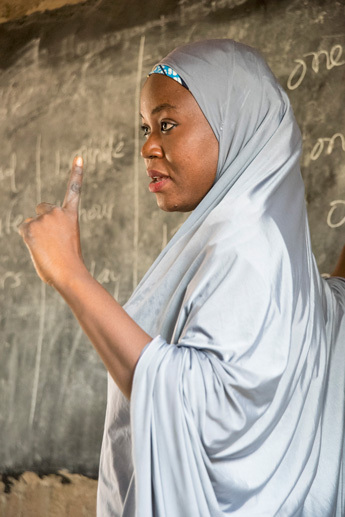 The project has established 294 non-formal learning centers that provide education, in-class meals and psycho-social services to the displaced children, says Ayo Oladini, director of the Education Crisis Response program. Local facilitators identified and trained by the program use a government-approved curriculum to teach basic literacy, numeracy and life skills. The learning centers are housed in existing structures like schools or meeting houses that are made available by the local community. The students attend class three days a week for at least two hours each day and are provided basic school materials. State officials evaluating the non-formal learning centers say they are working. The opportunity to return to class is life changing, especially for the many who have been displaced and out of school for years. And while education is the foundation of the program, children traumatized by conflict and upheaval can only learn when their fears are also addressed. USAID responded to the psychological needs of the displaced children by incorporating a psychosocial approach to teaching. Facilitators are trained to teach in a student-friendly manner by incorporating group exercises and encouraging positive, interactive student-teacher relations. Working through local partner agencies, the program also encourages the local community to spread messages of peace. Officials in Bauchi are embracing this strategy to help students deal with what has happened to them and their families. Scheduled to phase out in 2017, the Education Crisis Response program is supported by Nigeria’s state and federal governments, which, Oladini said, will help ensure the long-term sustainability of the program. From the outset, government education officials have been involved in every detail of program planning and worked with the program to identify communities, develop a teacher training manual and sit in on classes. For every learning center, Education Crisis Response has also trained two local government education officials to serve as mentor teachers whose job is to work with the facilitators and provide feedback to teachers. And while government’s support of the Education Crisis Response program is essential, it is one part of an overall effort that also depends largely on the communities themselves. Produced for USAID by Creative Associates International, with reporting by Michael J. Zamba and Ernest Akoma in Nigeria. Michael J. Zamba is senior director of communications at Creative Associates International and David Snyder is a photographer and writer. 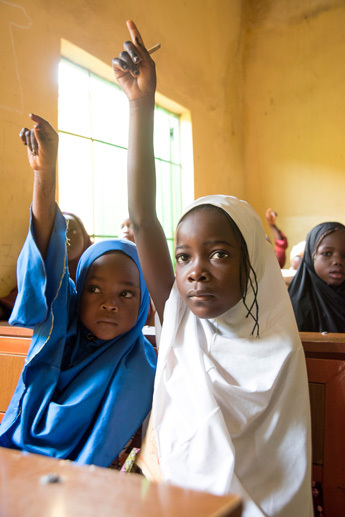 Creative Associates International is implementing USAID’s Education Crisis Response program in northern Nigeria. Follow Creative @1977Creative. 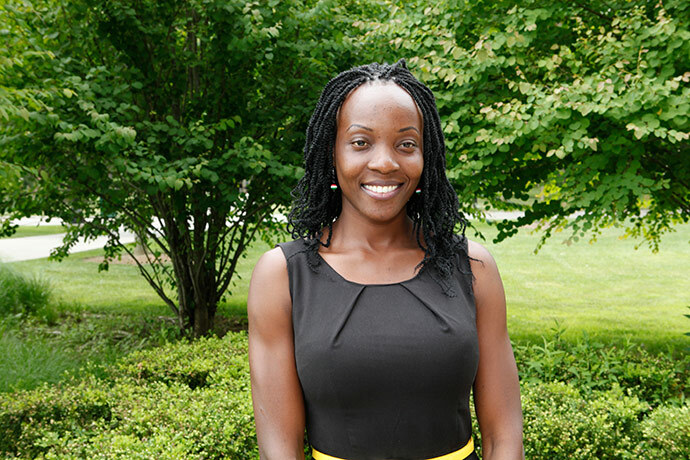 As children growing up in Kenya, Georgine Auma and Natha Yare were excluded from their right to education. Why? Because they are deaf. Access to education in sign language is still denied to millions of deaf and hard of hearing children, and even those who are lucky to receive an education — like Georgine and Natha — often lack teachers or specialists adequately trained in sign language, causing children to miss early language acquisition milestones that assistive devices like cochlear implants or hearing aids cannot provide. For Natha, being deaf meant she couldn’t go to a local school, and instead attended a school for the deaf 15 hours away by bus. Even there, though, Natha was denied her right to a quality education. 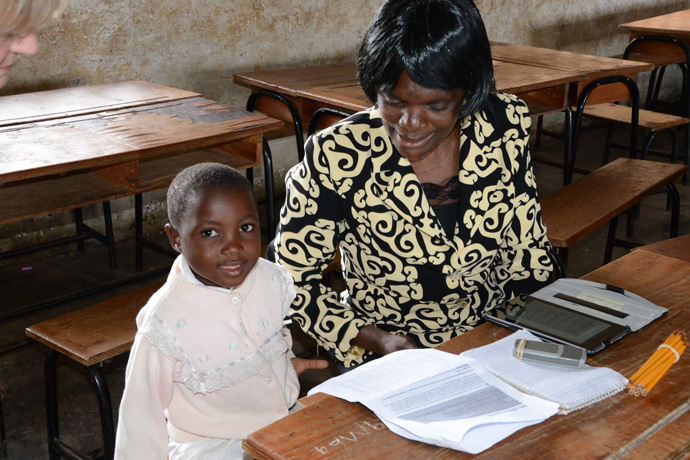 In many countries like Kenya, social stigma causes parents and community members alike to perceive deaf and hard of hearing children as impaired or altogether unable to learn. When Georgine became deaf at the age of 9, her parents didn’t know what to do with her. Although she already had a strong language foundation, her parents kept her from school for a full year before deciding to re-enroll her equipped with what they believed was a solution: hearing aids. When I hear stories like Georgine and Natha’s, it takes me back to Kenya, where I worked at two schools for the deaf as a Peace Corps volunteer. The challenges faced by deaf and hard of hearing people are still prevalent, though; I recently attended the quadrennial World Federation of the Deaf conference, where over 100 deaf youth representatives echoed the same themes of barriers to sign language and education. USAID is working to change this, providing access to education and sign language around the world. Education projects promoting sign language have been implemented in countries including Ecuador, Georgia and Morocco. USAID partnered to produce Ecuador’s first-ever sign language dictionary, and with the current All Children Reading Grand Challenge initiative, the Agency is developing revolutionary software to support bilingual education in Morocco and Georgia. In Morocco, with early grade reading software using both Moroccan Sign Language and Arabic, deaf students have been shown to develop better literacy skills, learn better, and thinking more outside of the box than they did before. Inclusive education is becoming an important theme on the global stage. It is important to ensure that students like Georgine or Natha aren’t left behind. Quality education for deaf and hard of hearing students means equipping teachers with fluency in sign language, thus creating truly inclusive spaces for all learners — because every child has a right to be educated. Josh Josa is a Program Analyst working in USAID’s Office of Education. Follow him @JoshJosa. In a small first grade class at Mikombe Elementary School in rural Malawi, a girl named Martha is receiving the opportunity of a lifetime – she is learning to read in her local language, Chichewa. This might not sound like an incredible feat, but for many children in developing countries around the world, especially girls, literacy is elusive. Poor education systems, untrained teachers and a lack of textbooks in local languages are just a few of the obstacles that hinder education for all in countries like Malawi. However, what is truly remarkable about Martha is not just that she is learning to read in her local language, but that she is acquiring a skill that can lead to job opportunities her parents never had. Reading enables education, and education opens doors. While global health, food security, clean water and energy often dominate the conversation on ending extreme poverty, we at USAID know that education can act as a keystone for all development efforts. The ability to read and write is essential for living in today’s world. This fundamental competency determines whether someone can understand the instructions on a medicine bottle, apply for a job, follow road signs, read a receipt, or vote in an election. Unfortunately, hundreds of millions of children around the world are failing to learn fundamental reading, writing and math skills. For some of them, school is not accessible at all. By increasing both quality and access to education, we can forge pathways towards ending extreme poverty. In fact, if all students in low-income countries left school with basic reading skills, 171 million people could be lifted out of poverty. Education takes center stage on the global policy agenda this week as a diverse group of education leaders from around the world gather for the World Education Forum in South Korea. After looking at the successes of the Millennium Development Goals — a blueprint created by the international community in 2000 to address eight key development goals — world leaders will renew their commitments in the Sustainable Development Goals that they will create later this year. With this backdrop, the World Education Forum offers a platform for education advocates to come together to establish a new “Framework for Action” that will guide Sustainable Development Goals for education. USAID stakeholders will be at the table alongside our development colleagues to share our measurable successes in education projects and to recommend best practices that can be woven into the forthcoming Sustainable Development Goals. Over the past four years, USAID missions around the world have worked tirelessly towards the three goals of our agency’s education strategy. We are working to improve reading skills of 100 million children, create employment opportunities for youth, and increase access to education for 15 million children in crisis- and conflict-affected areas. And our work is making an impact. Since 2011, USAID programs have reached millions of primary school students in 42 countries, provided thousands of youth with new or better employment, and created learning opportunities for children and youth all around the world who would otherwise be out of school. Despite these successes, the international education community agrees that there is much work left to be done. It will take a group effort to achieve the goals that will be established at the World Education Forum this week. It will take a particular collaboration to shift program focus to measurable learning benchmarks and not simply access to education. A report recently released by the Organisation for Economic Co-operation and Development (OECD) titled, “Universal Basic Skills: What Countries Stand to Gain,” draws attention to the fact that even though enormous gains have been made in school enrollment around the world, large gaps exist in the quality of education a child receives once enrolled. In few places is this more evident than in Martha’s native country of Malawi, where access to primary school is almost universal, yet 92 percent of the country’s youngest students cannot read a single word. The World Education Forum is an important forum for building a pathway out of poverty through education and learning. USAID — along with the U.S. Departments of State, Education and Agriculture — are committed to moving towards an integrated education development agenda that will achieve inclusive and equitable quality education and lifelong learning for all children by 2030. Christie Vilsack is the Senior Advisor for International Education at USAID working to ensure ALL children have access to a quality education. Follow her @ChristieVilsack. In chasing the “American dream,” 21-year-old Guatemalan Andrés Ixcuná Mateo tried to cross the border into the United States twice but failed. He says the experience of being arrested by immigration authorities and spending several days in jail traumatized him. But after returning to his hometown of San Andrés Sajcabajá, he began serving as a community volunteer with the Leer Juntos, Aprender Juntos project to help children learn to read in the Mayan language of K’iche. The experience of giving back to his community and helping preserve their indigenous culture helped him start to overcome the emotional and physical hardships he endured in his pursuit of a better life. Now, he’s filled with a renewed hope for a better future in his hometown. Implemented by Save the Children with support from USAID, the three-year project Leer Juntos, Aprender Juntos — which means “reading together, learning together” — aims to improve the readings skills of children in rural, indigenous communities in Guatemala and Peru in their mother tongue. 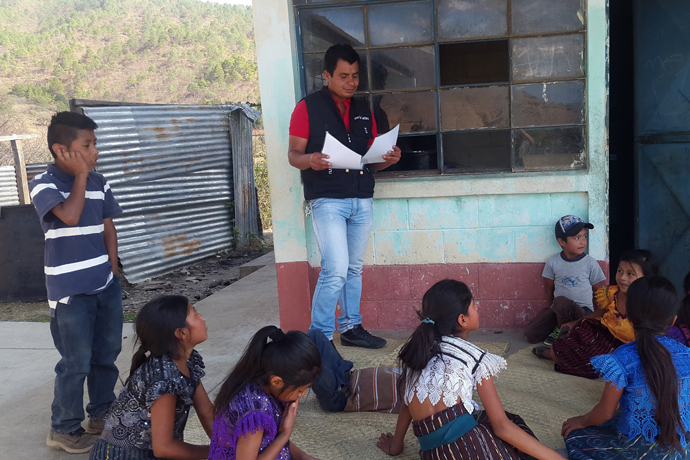 In San Andrés Sajcabajá, the program includes community action activities to improve literacy in the the K’iche language, alongside in-school activities. The project is part of USAID’s global education strategy to improve the readings skills of 100 million children in primary grades around the world. These skills are essential to students’ success in later grades and open doors to better economic opportunities once they become adults. In the beginning, the project staff in San Andrés Sajcabajá had trouble recruiting volunteers. While searching for young people who might be willing to give up their time to help children learn to read outside of school hours, they contacted the principal of the community school, who referred them to Andrés–who had recently returned to his hometown. Andrés, who was living at home and reflecting on what had happened to him, had graduated as a primary grade teacher before trying to emigrate. After meeting with the project staff, he agreed to join the team. The Leer Juntos, Aprender Juntos project changed Andrés’s life and encouraged him to seek new horizons in order to improve himself and improve his family. After two volunteer trainings, he came to understand that it is possible to achieve “self‐improvement through education,” as he termed it. Andrés is one of the volunteers who continues to be committed to the project, and this year he has taken up another year‐long commitment to lead community actions being implemented by the project in his village. He has also decided to enroll in the university to continue his studies. 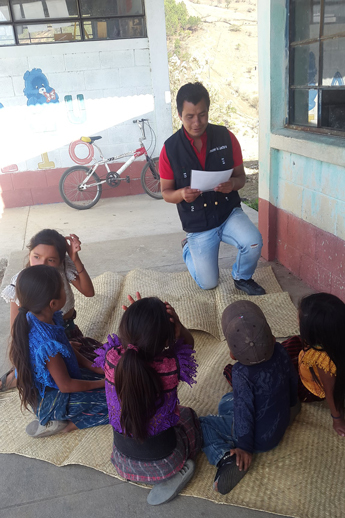 Anibal Barrera Santay is a Community Action Officer with the USAID-funded program Leer Juntos, Aprender Juntos (Reading Together, Learning Together) at Save the Children.